We have an amazing dojo complete with a japanese rock garden, a japanese folk art museum, and an award winning country style Japanese restaurant. Learn about it here. 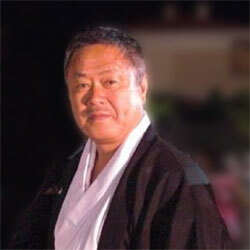 Learn about our sensei – Gaku Homma Kancho. Sensei was the last live-in student to the Founder of Aikido Morihei Ueshiba. Learn about Sensei and staff. Nippon-Kan is extremely active in the local community.